When it comes to a boil lower heat to medium high and add sausages – cook for 3 minutes. Add potatoes and cook for 8 minutes, then finally add corn. There should be enough water so that the ingredients are submerged. 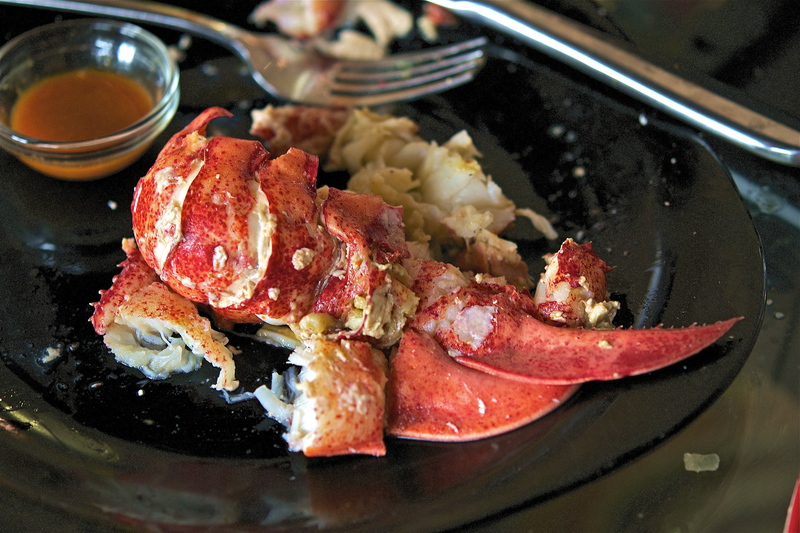 Cook the lobsters: Strain into a large pot or bowl set aside and cover. If needed add more beer or water into the cooking liquid. 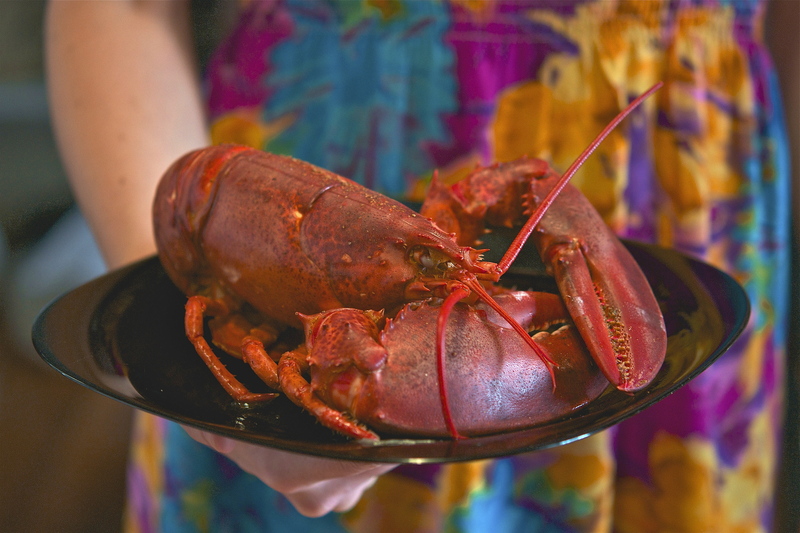 Using tongs, carefully add a live lobster into pot and cook for 5 minutes – add one or three at a time (depending on the size of your pot). Serve with melted butter, lemon, salt, and cocktail sauce.